For many people, their home is the biggest asset, liability and responsibility they may ever possess so when a situation occurs where a homeowner must be leave for an extended period of time, there is a need to ensure the home is well taken care of in their absence. A house sitter is a person who can be entrusted to care for the home, contents, landscaping and possibly even children and pets. A home left empty is extremely vulnerable to thieves. Dark windows in the early evening hours, newspapers stacking up in the driveway and flyers piling up on the front door are all signs that a home is empty. The most basic duties for a house sitter that do not require any training or experience are to collect newspapers, mail and flyers from outside, set out refuse and recycling cans on garbage day and stay at the home each night to discourage thieves and vandals. 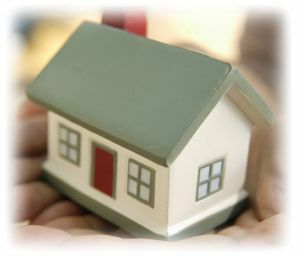 The house sitter negotiates a fair price with the homeowner depending on what duties the sitter will be performing. There are even international house sitting jobs abroad that allow a world traveler a chance to visit new locations and have room and board. The only duty you must perform is take care of the house. A reasonable tradeoff as long as the destination is favorable. The United Kingdom and Scotland are two popular house sitting locations. Many homes have extensive landscaping that requires daily maintenance and pets are often left at home when the homeowner travels. This type of house sitting would be considered more labor intensive and would therefore earn the sitter a higher rate of pay. Depending on the length of time the homeowner plans to be gone, in addition to the basic tasks mentioned above, the sitter may also need to water and trim both indoor and outdoor plants, direct gardeners or pool maintenance to needed tasks and feed and water pets each day. No formal training is required for this type of house sitting either, but a basic knowledge of proper pet care and gardening would be helpful to achieve optimum results. The last and most intensive type of house sitting would require all of the above tasks as well as childcare and being an in home companion for the elderly or disabled. Caring for children, or working as a nanny, frequently requires cooking skills, a safe driving record, background check and most importantly, a trusted, responsible individual. Trained through colleges and specialized programs, nannies can be licensed, certified or have no formal training at all. Untrained house sitters working as in-home nannies could expect to earn ten to fifteen dollars per hour while a full trained nanny would be compensated approximately $40,000 to $60,000 per year and possibly much more for a highly trained nanny with immaculate references. Live in companions act as caregivers that look after, typically, an elderly parent, a pet or a child. There is a high level of trust involved as a live in companion. Build your reputation and make connections. References are a must and should be people that the clientèle knows on a personal level. Depending on your clientele, house sitter salaries can vary a lot. As you gain more experience in this field, your connections and networking among the rich will expand, leading to more permanent opportunities.